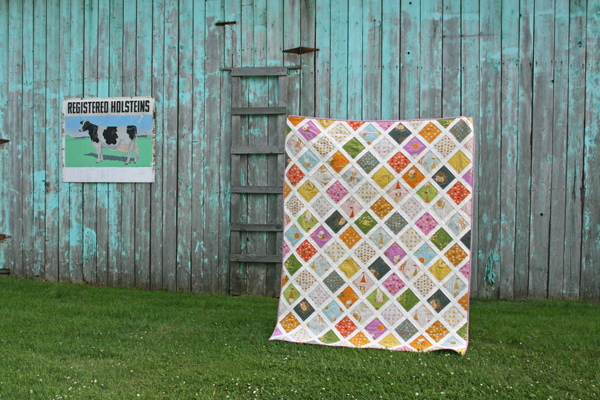 My latest project is another Triple Irish Chain. 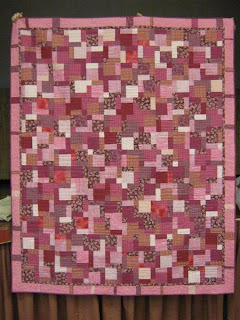 This one in burgundy-beige hues with brown-green intersections and white background. My working name for it: Afternoon Garden Path, since it reminds me of bricks warmed by the sun, with some trees in between. 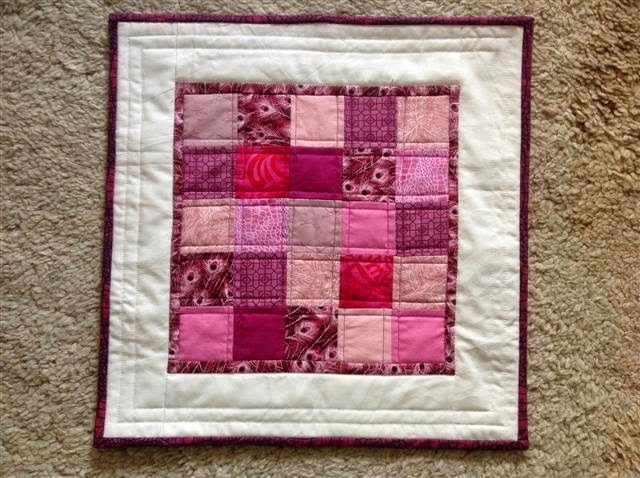 I finished it in the fall of 2009 as a gift to my second-longest friend who particular asked for a pink quilt. Recently, it was time for her annual celebration again. This year, I managed the multi-hour trip there to celebrate with her. 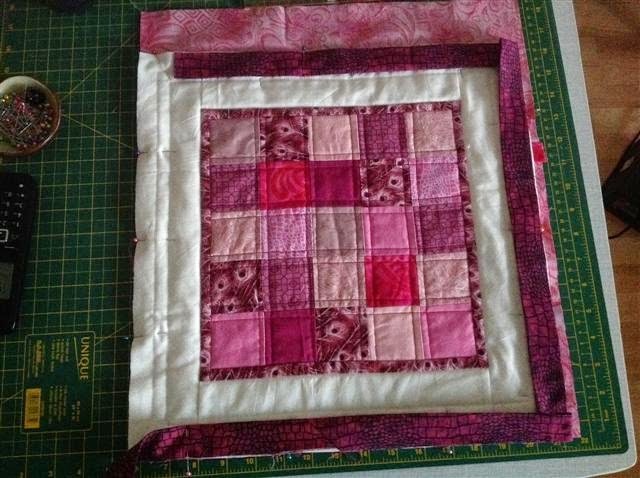 It was a spontaneous decision, and the day before the party I thought: "I could make her a gift instead of getting a gift card or something else impersonal." My idea: a matching pillow case. 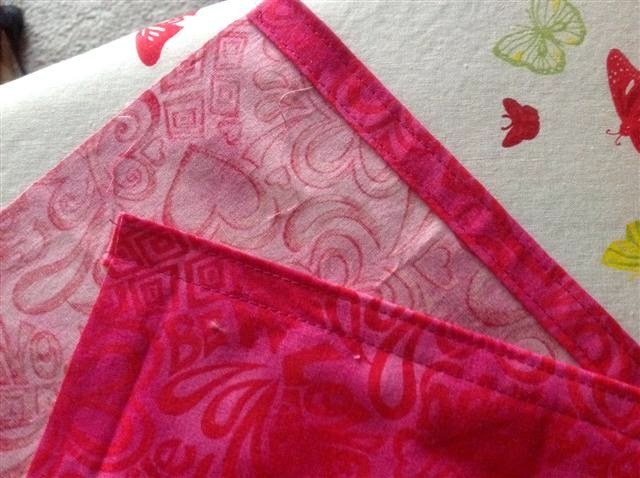 I had a look through my fabric stash and recognized a few of the pink fabrics I had used for her quilt. 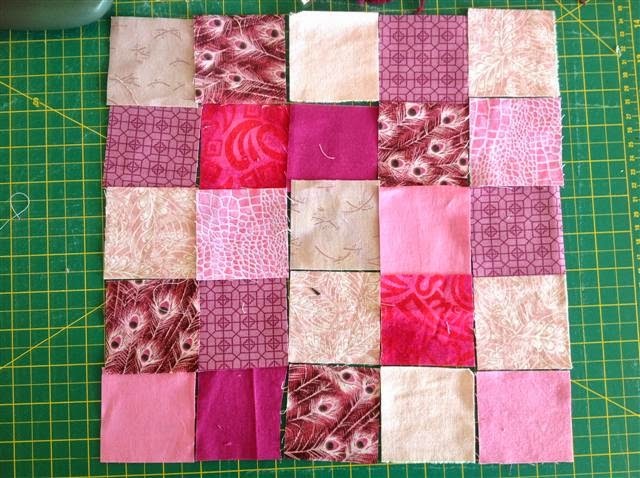 I mixed those with a few new pinks and went for a simple patchwork pattern. Some rather rough calculations to get the approximate size and proportions of center and border and off I went. 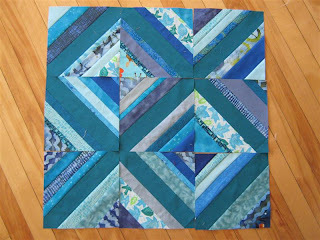 Not sure: is this called a 'five-patch'? 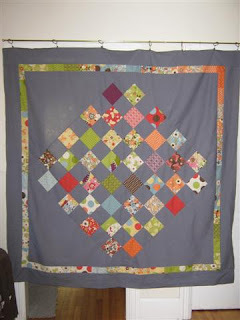 I cut 2.5" squares, added a 1" (cut) skinny border and a wide white border. 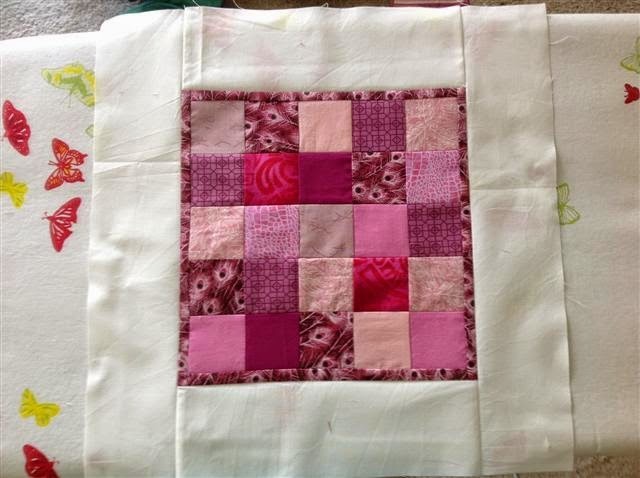 I quilted about 1/4" on either side of the seams. 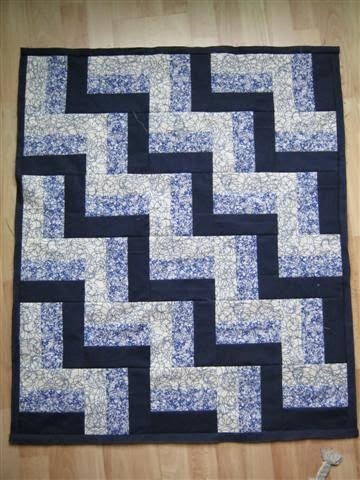 I rushed this job, and unfortunately some of my squares were pulled too far in one direction so that I ended up with slanted squares in some cases. Oh well. I also added a 'fake' frame by quilting parallel lines around the white border. I'm quite happy with the look of this! 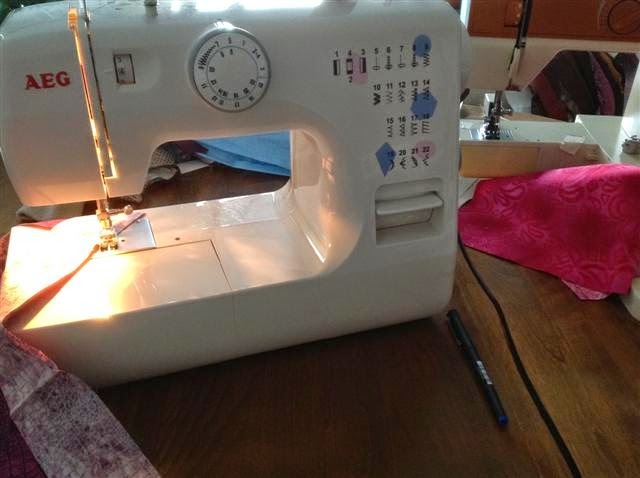 During this rush-project, I truly appreciated having 2 sewing machines. 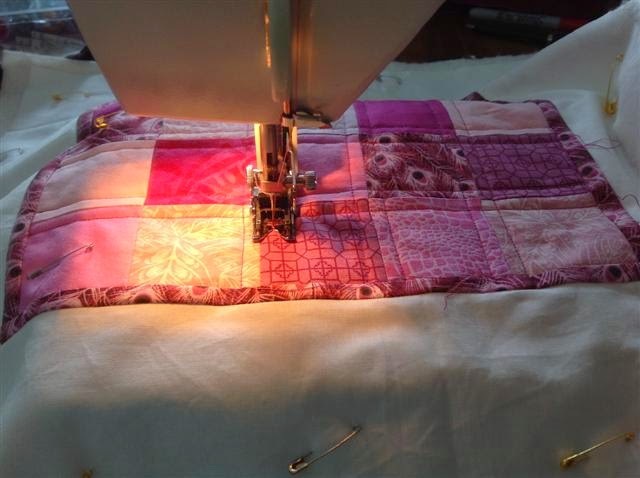 It meant that I could quilt and sew binding strips on with the walking foot on one machine, while I could refill bobbins and sew together binding strips on the other one without having to cut thread or switch spools. Handy! 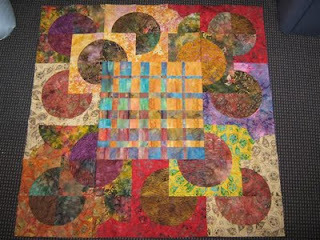 The top finished at around 16.5" square. 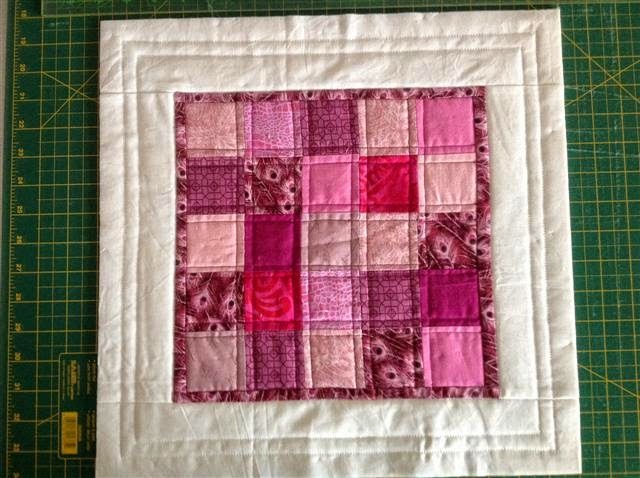 For the backing, I used up the very last bit of fabric I had left of the original pink quilt backing. 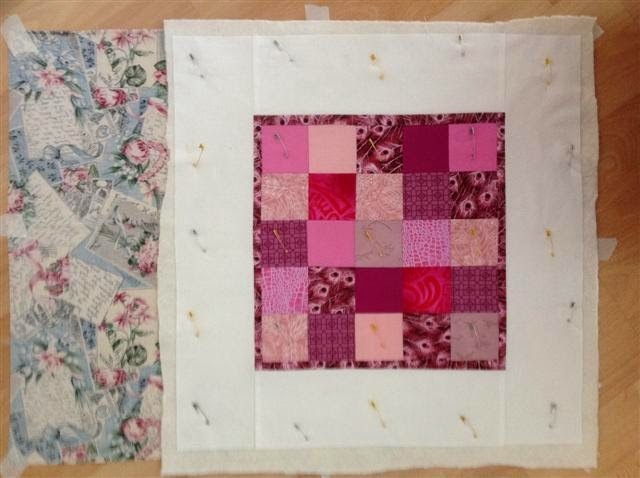 2 pieces of about 13"x16.5". 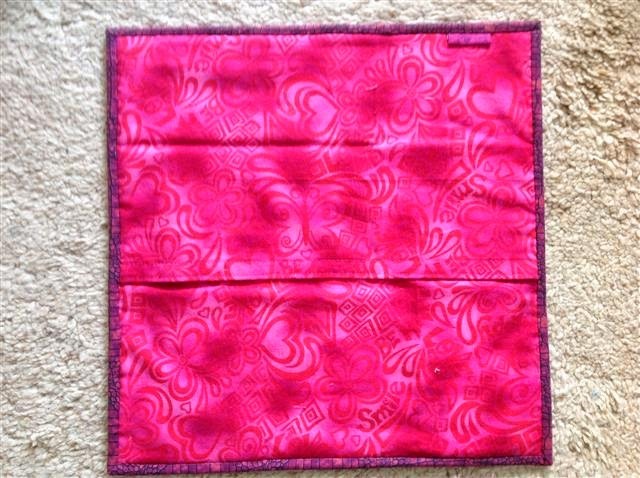 I folded one long edge on each piece twice to make 1/2" wide finished edge, ironed it and sewed it down with a double seam. 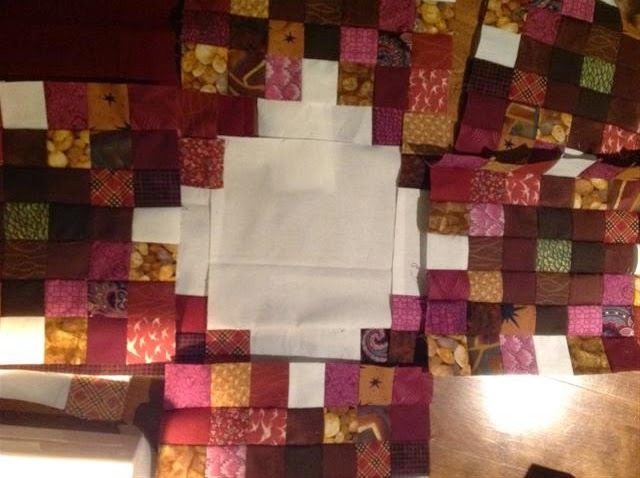 I then sandwiched everything together so that the backing pieces overlapped for about 5 or 6" and cropped the overhang of the backing. 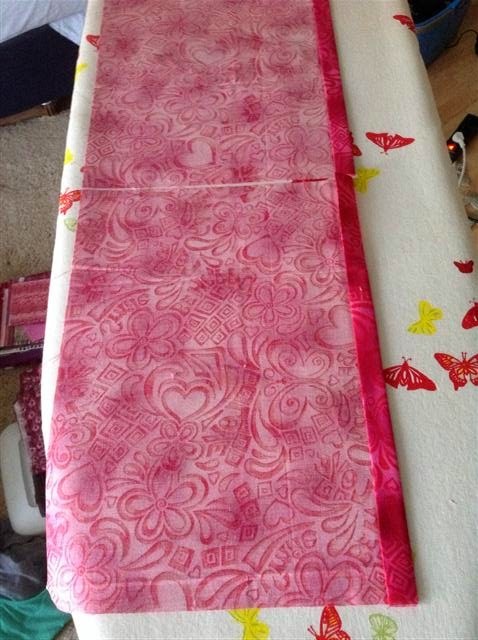 I attached top and backing of the pillow as I sewed on the binding. 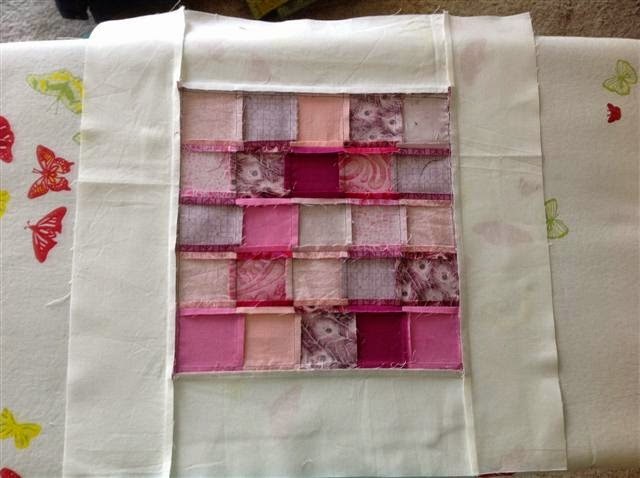 This was a bit tricky, but with enough pinning, everything worked out fine. 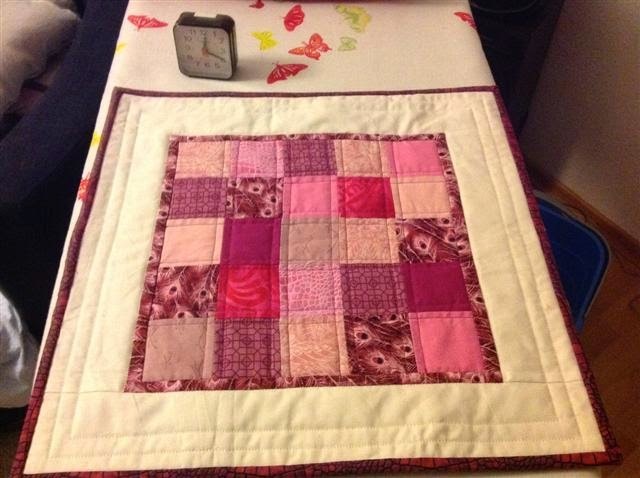 I started at 5pm, had a 2 hour break in the evening to go to the gym and had the pillowcase finished at 20 past midnight. Whoot whoot! 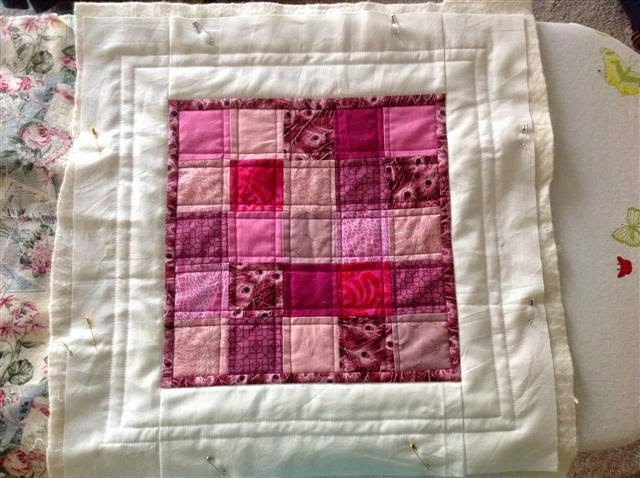 The pillow case finished at about 16" square. Here the finished product by daylight, bound, labelled and ready to go! The gift was a big hit that evening!